The Scottish take reuse very seriously. Scottish Organisations have saved over £4 million using our system to reuse surplus assets furniture and equipment. 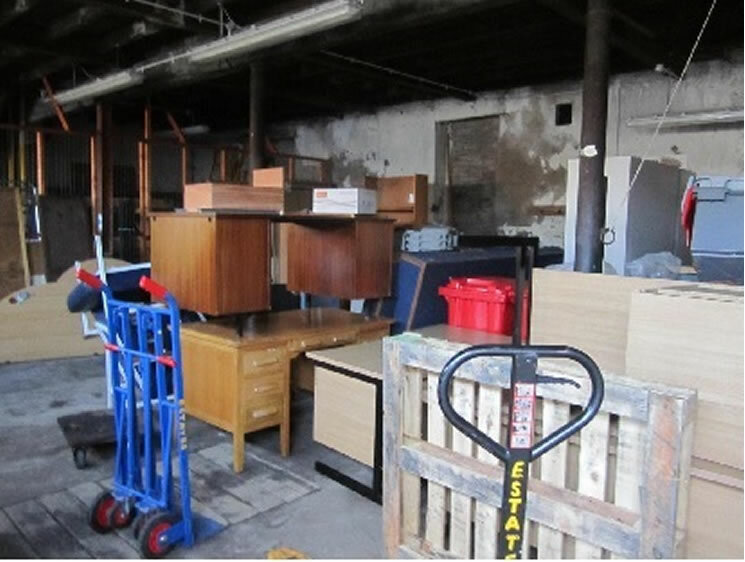 Not only are Scottish organisations showing how we can get maximum value from surplus assets but they also show that they are top of the league for generosity too. Scottish organisations have donated over £1 million worth of assets to the charitable sector! In Scotland, we can count the whole of NHS, 70% of the Universities and about 60% of the municipal councils as customers. The Scottish have been famously recognised as international innovators throughout history; just think of James Watt, inventor of the Watt steam engine that sparked the industrial revolution; John Logie Baird, inventor of the television; Alexander Fleming, who discovered Penicillin, and Alexander Graham Bell, the inventor of the telephone! So it is no surprise to us that they are well represented in the top 10 league tables on Warp It. Scottish Warp It users are also our donation champions right now, showing their kindness, generosity and dedication to helping organisations and people less fortunate. In the top 10 global donations to charity rankings for Warp It users, four of the top ten places are currently held by organisations from Scotland. Even more impressively, they hold first, second and third place, with a big gap of over £40,000 between third and fourth (View our league tables here). 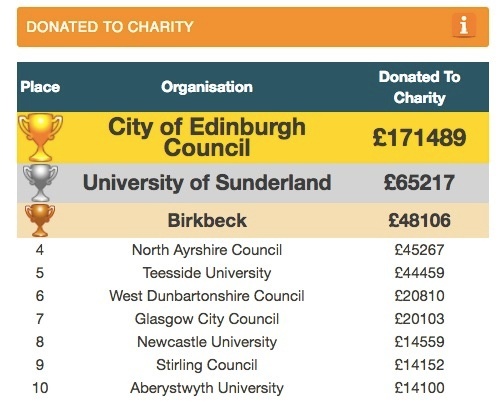 As you can see, the City of Edinburgh Council, the University of Edinburgh, the University of Glasgow and North Ayrshire council have already combined to donate a huge amount of assets to various charities. We have collected together all of our Scottish case studies and interviews and presented them below. From these articles we can conclude the following. Scotland are leading the world in circular economy practices and in particular the reuse of surplus assets within organisations. Scottish institutions are well aware of the opportunity that reuse presents for making savings internally but also for donating and sharing with 3rd parties. Scotland has very strong collaboration within its sectors. The procurement function in Scottish institutions gets involved with reuse. Are you ready to learn how Scottish organisations have dominated reuse savings and asset donation? Below you’ll find a title that links to an interview or case study, a brief explanation and some key figures to note. Find out how Selina Woolcott, Director of Health Safety and Wellbeing at University of Glasgow, used Warp It to start an internal marketplace within the university. You’ll hear how they managed to make large donations to nonprofit organisations too, all whilst providing sound business models and robust data to senior management. With Total Savings of over £400,000, you’ll see them sitting in third for that league. You will also find them challenging in other areas; they are third for Total Carbon Savings, second for Trades Per Month, third for Donations and rank in the top ten in eight of our thirteen leagues! In this in depth interview with Alan Peddie, we learn how reuse in the IT department has proved incredibly effective, and has grown to the point now where they are handling more computers than they can repair, and are able to donate the surplus to local social enterprises. Alan gives great advice on how to approach people in different departments, existing supporters and senior management, sharing his tips and tricks on getting around objectors too. As one of our most successful Warp It organisations, you’ll see the University of Edinburgh 9th on the Total Savings league, 9th on Return On Investment (86.79x) and impressively 2nd on the Donations To Charity, with over £270,000! In this interview with Andrew Mouat, Principal Officer Carbon Management, we explore how Glasgow City Council came to take the lead on city wide reuse. 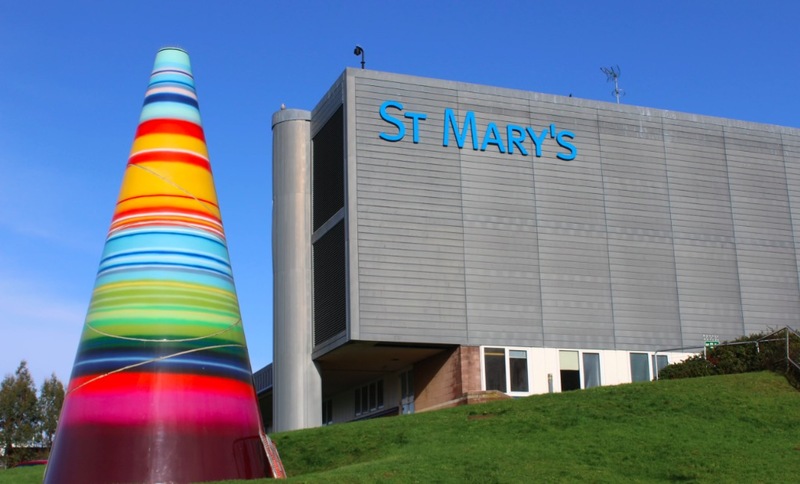 As you will see in the link above, Andy Hay from NHS Tayside was kind enough to provide us with greater insight into how Warp It has become involved in their carbon reduction activities. You’ll find NHS Tayside in our league tables sitting comfortably in third place for Number of Total Users (959) and Quickest Payback (just 9 days!) - congratulations! We asked Andy Hay (mentioned above) the question ‘Is reuse procurement’s problem?’ and from there we had a very interesting discussion about the role of procurement managers in Warp It and other reuse strategies. Andy had some great input to make about Scotland’s dedicated approach to reductions and reuse, as well as his thoughts on cost avoidance. Andy has been fundamental in growing interest for NHS Tayside’s Warp IT platform, which now has nearly 1,000 users! The University of St Andrews is one of the most highly thought of Universities in the UK, but within the organisation, it is Warp It that is often highly thought of. Fourth placed in terms of Total Savings as a User is St Andrew’s Environment Office Barbara Aitken, and you’ll also find the univeristy creeping into the top ten for Return On Investment, with a staggering 85.15x ROI! What’s even more impressive is that their Warp It operation covers over 140 buildings, with a diligent Estates Management team leading the way. See their store below. We interviewed Elaine Gray, Purchasing Lead at NHS Greater Glasgow and Clyde, and she opened up about a whole variety of interesting topics on the theme of reuse programs. 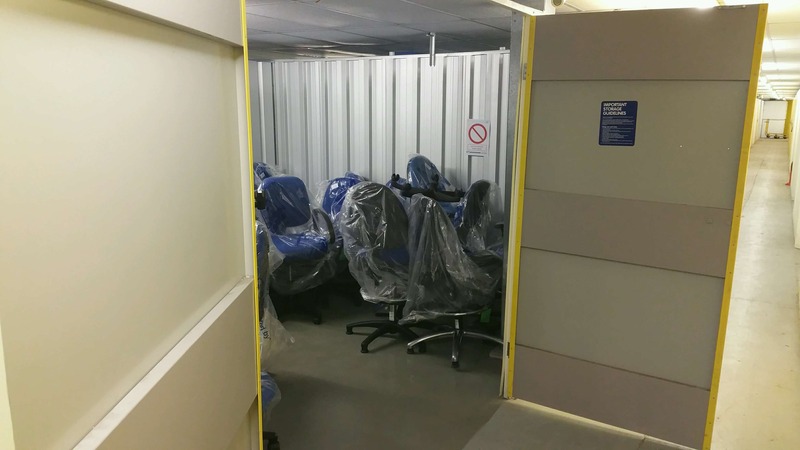 This story gets even better when you learn about the hurdles Elaine and her colleagues had to jump over to make a refurbishment project a reality, but let it serve as an indicator of how much interest and dedication there is for reuse in the Scottish NHS system. As well as these impressive statistics, this NHS organisation is currently in 1st place for average trades per month, with 99! They’re also leading the line when it comes to average savings per month, with an astonishing £33,833. Unsurprisingly, with figures like these, it only took the organisation 5 weeks to pay back their initial investment for Warp It. We talked procurement with Kirsty Hughes from Heriot Watt University just a few months ago, and it uncovered some really interesting ideas about the role of refurbishment in procurement, how to drive reuse up the supply chain, how to build teams and rapport and why you should have transparent company policies. The Scottish uni managed to save over £75,000 in their first year alone!